Spring has finally bloomed, and the warmer weather may have people thinking about outdoor projects. But before planting a tree or building a deck, Eversource reminds customers to think about electrical safety and what’s below before the shovel hits the ground. Power equipment and hand tools such as spades, axes and picks can damage underground gas or electric lines, resulting in serious personal injury and disrupted utility service. Don’t dig your own grave before your time. 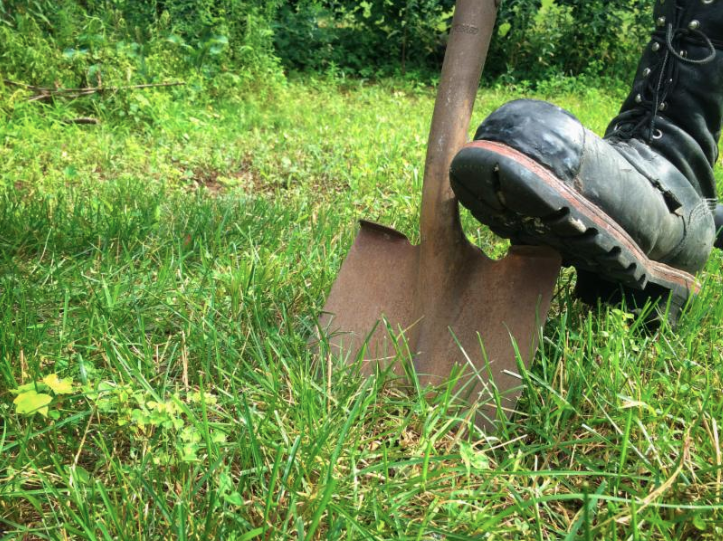 Anyone planning an outdoor project such as planting a tree or shrub, hammering tent pegs or stakes into the ground, or installing a swing set, deck, mailbox or fence should always call 8-1-1 before digging. Homeowners and contractors will then be connected with Call Before You Dig, which notifies local utilities of their intent to dig. Professional locators will then visit the property to mark utility-owned underground lines with flags, spray paint or both, to indicate which areas to avoid. For Eversource customers planning to work near overhead electric wires, it’s important to call the company directly at 800-286-2000, five-to-seven business days before pruning branches, shingling the roof or painting the house trim. An Eversource line crew will cover the lines with a rubber protective covering to make the area safer at no charge, but customers should still remember to always remain at least 10 feet away from overhead wires. Check for overhead lines when using ladders to clean gutters or a long-handled pool vacuum that could reach within 10 feet of the lines. Don’t let Mylar balloons become a party spoiler. Always keep them tethered and attached to weights because the metallic coating on these balloons can cause a power outage if they contact overhead electrical equipment. Never attempt to retrieve a balloon, kite or other debris that becomes entangled in an overhead power line. Instead, report it to Eversource so a lineworker can safely remove it. If using power tools to work outside, make sure extension cords are marked for outdoor use and rated for the power needs of tools being used. Also, check to be sure that cords aren’t frayed or cracked. Damaged or overloaded cords may lead to electric shock and serious injury.